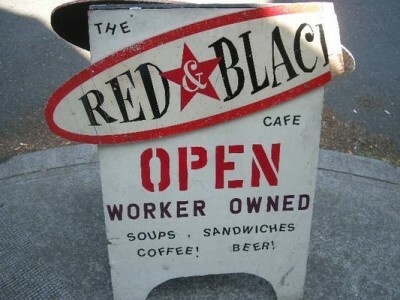 The Red & Black Café is a worker owned, collectively managed, anarchist friendly, vegan coffee shop and restaurant located here in Portland, Oregon. A curiosity in some parts of the country, but here in the Northwest just another place to get a vegan meal and a cup of coffee… unless that is; you’re a Portland Police officer. Recently the Red & Black café made national news when they asked a uniformed Officer to leave the premises because his presence reportedly made some of the other patrons uncomfortable. See, the Red & Black has a Safer Space policy, and according to reports, one of the “owners” asked the officer to leave (after they sold him his cup of coffee) because a good number of their patrons don’t feel safe around the police. Problem is this owner (one of the many as this is a worker owned shop) did this in front of a mom and daughter who were speaking with the officer at the time; the mom happened to be a blogger who also writes for the local paper. She blogged about the incident, and eventually the story garnered national attention after it was picked up by CNN and the Fark. As reported in the Oregonian, the Red & Black draws in a wide collection of homeless people along with animal rights and environmental activists, groups that have been targets of police abuse and harassment in the past. Now before we go any further, the intention of this post is not to debate this issue, or discuss the café rights to refuse service to this officer based upon his uniform and gun, or if what they did was indeed discrimination. What I do want to address is as this particular incident exploded into a national news story, social media sites have become ground zero for the debate. Last Thursday, I was perusing Yelp Portland, and noticed an inordinate number of reviews for the Red & Black café. Apparently I wasn’t the only one, as I came across a talk thread shortly after entitled “1 star reviews of the Red & Black”. This was the first I had heard about this incident, and the thread was the start of a long and still ongoing discussion amongst Yelpers about the incident and more importantly the large influx of one star reviews popping up about the Café. 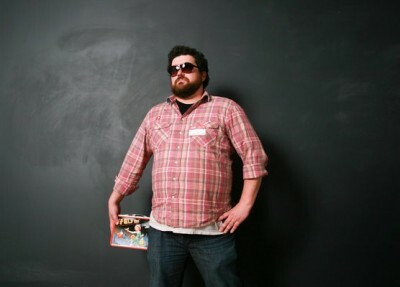 I recently caught up with Don Bourassa, Yelp’s Portland Community Manger, and asked him a few questions about this incident, how Yelp became an online destination for people on both sides of the argument to post their views (through their reviews), and how Yelp’s Terms of Service protects business from these types of incidents. CHRIS: When did you first realize that there were an inordinate number of reviews showing up for the Red & Black café? Don B.: There were a few reviews posted in early June before the Fark and CNN ran their stories, but following that coverage, reviews started to roll in at a steady pace. CHRIS: What percentage of these reviews are from established Yelpers vs. people brand new to Yelp? Local vs. Out of Town Yelpers? Don B.: Based on what I saw, the overwhelming majority of reviews seemed to be from brand new users, both local and from all over the country. The majority of long time users know that it’s against the rules to post reviews based on second-hand experiences, and further, they value the system enough to know better than to gum it up with political rants based on something they read on CNN . CHRIS: How does Yelp filter out these reviews and what happens to them? How does Yelp protect a business from these types of online attacks? What percentage of the new reviews violate the TOS? Yelp community self polices and often flags reviews that violate the Yelp Review Guidelines and Terms of Service (TOS). All flagged reviews are evaluated by the Yelp Customer Support group and any reviews that violate the Guidelines or TOS are completely removed. In situations like this particular one, the Customer Support team is notified of the situation and they monitor the profile to ensure they catch any reviews that aren’t flagged. It’s a lot of work on the back-end, but Yelp takes the integrity of reviews very seriously – it’s the reason over 32 million users came to the site last month alone. Additionally, Yelp has a review filter, which is an automated system designed to identify suspicious patterns of behavior. 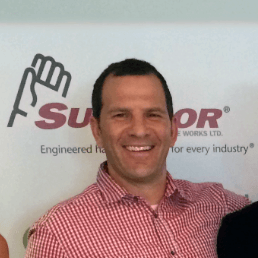 If a review is identified by the system it is filtered away from the business profile page. CHRIS: Have you seen a similar situation in the past, where Yelp is used to voice personal and political opinions about an establishment? Don B.: Yes, we see this situation from time to time. It’s a natural progression. People recognize the power of Yelp and know that when they write a review, that message will be heard by many and resonate throughout the community. But what keeps Yelp trustworthy, reliable, and ultimately useful is our dedication to ensuring that the information contained in reviews is first-hand. We encourage users to speak their mind about the news of the day in the Talk forums, but business reviews are a place for first-hand accounts of the user’s experience with that business. In the past, this type of story may have made the local evening news, being fodder for the water cooler, maybe led to a protest in front of the establishment, and then be forgotten once the next politically charged incident took its place in the spotlight. Times have changed, and with an increasing percentage of the population interacting and expressing their opinions on daily basis through various Social Media sites, these online public forums are now the go to destination for debate. Yelp certainly was not the only Social Media site that was utilized to voice discontent with the Red & Black Café and their policies. As of today, the Facebook Group “Boycott the Red and Black Café, Portland OR” has 17,841 “people who like this”. Yesterday the group had a total of 15,680 likes. Also on Oregonlive.com, the online version of the Oregonian, the original article regarding this incident has had over 600 comments, and has been shared over 6000 times through Facebook. Now granted, I don’t think any of these forums or Social Media sites will cause the Red & Black to go out of business or change their policies. Based upon the type of café it is and the groups they support, people who don’t agree with their actions are not their typical customers, and those in support of them, are probably already patrons. Besides, as a system bucking, anarchist establishment, this “negative” press is probably in their minds a great way to get their views broadcast to the masses. As they say, there is no such thing as bad publicity. Especially in this case. In fact, according to a recent follow up article the Oregonian, after the incident, the Red & Black Café had an upswing in customers, who after hearing about the story, wanted to visit on their own and see first hand what they are all about. However, for most other businesses that cater to a more general and nonspecific crowd of customers, a politically divisive incident such as this by an owner or employee, could quickly get out of hand and through the vast networks of social media sites and negative online reputation lead to a significant loss in business and customers. I guess it goes to show that as we become more and more connected personally, politically and emotionally through the internet, our backyard incidents can quickly become fodder for national debate. What do you think of the Red & Black, the Black & White or Yelp’s handling of reviews for this incident? Feel free to share your thoughts.